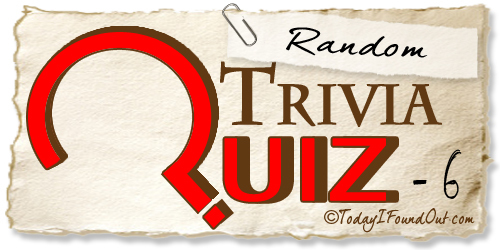 Congratulations - you have completed Random Trivia Quiz 6. Which country does parmesan cheese originate from? In which year was Whitney Houston's hit 'I Will Always Love You' Christmas number 1? According to the Bible, who baptized Jesus? Who was the youngest world heavyweight boxing champion? In darts, how high off the floor must the bullseye measure? In the Bible, who was Moses' brother? In which year did Queen's Bohemian Rhapsody reach number one in the UK chart singles? Which sport would be played during the Corbillon Cup? In the song 'The Twelve Days of Christmas', how many gold rings were there? We bow to your brain!